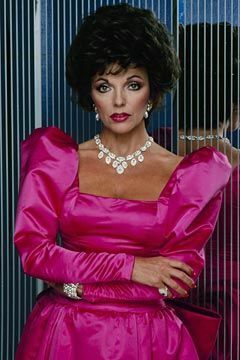 Bringing back this old thread as I plan on watching Hollywood Wives this evening and I also just found the Stephanie Powers miniseries Deceptions on youtube too. I just finished the first hour of Hollywood Wives.... It's wonderful trash! I wish I had have watched it on DVD in better quality instead of YouTube. I wish I had have watched it on DVD in better quality instead of YouTube. Last miniseries I watched was Top of the Lake. A second season is being made right now. Unfortunately without my favorite character, GJ, played so brilliantly by Holly Hunter. However, Gwendoline Christie (Brienne, Game of Thrones) and Nicole Kidman are joining. Season 2 is shooting in Sydney, Australia rather than in New Zealand, which is a shame. I thought NZ was far more exotic. Since the 2nd season has a whole new cast except Elisabeth Moss, and new location, it's certainly not a continuation. That's probably for the best, since the storylines of season 1 pretty much concluded at the end of season 1. My favorite miniseries, so far, is Pride & Prejudice from 1995. I loved the Jane Austen novel, and this miniseries did the novel justice. Colin Firth is terrific as Mr. Darcy. And it wasn't until recently that I found out that Julia Sawalha was playing Lydia Bennet. Saffy Monsoon from AbFab playing Lydia. Such polar opposite characters. Great scenary and costumes on top of that. I must watch this one: I love Moss and also the location and the plot. 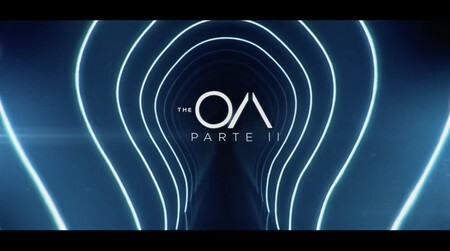 PS: I just checked out that it´s uploaded on YouTube, seemingly complete! My all-time favourite is the 1981 version of "East Of Eden", a great American drama about love, sins and forgiveness. The "evil" of the story is portrayed by a beautiful woman, who thrives on the weaknesses of other people, but also hates them for having those weaknesses. 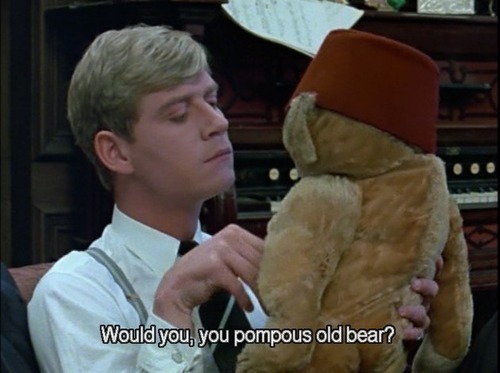 I agree with you, though I´d put "Brideshead Revisited" over this one. It´s very special in my heart too, for the subjects it handled (I was a teenager back then). "East of Eden" was a big-budget production, where everything was absolutely perfect: from Lee Holdridge´s masterful score, to the atmospheric locations, to the masterful casting: Timothy Bottoms and Jane Seymour always have delivered flawless performances, but they excel here. Bruce Boxleitner is not only very well directed here, but he is totally hot!! There also are Annie Fairgate, I mean, Karen Allen, in the role played in the movie by...Lilimae Clemmens! (Julie Harris). And Howard Duff, Anne Baxter, Lloyd Bridges, and Sam Bottoms, Timothy´s younger brother, who comes across as a lot more naïve and huggable than his movie counterpart, but equally as hot as the rest of the actors in this movie. No wonder I keep such a good memory of it!! Now seriously, as you know, the film version only covers the last part of the very long novel, and the series runs 8 hours, so it has time to cover the whole story. I remember how horrific Seymour looked in the latter scenes, contrasting with her usually sweet, beautiful previous characterization. Another underrated actress who should be given the merit she has: US TV wouldn´t have been the same without her, Jaclyn Smith, Ann-Margret or Lee Remick, just to say a few names. They weren´t just pretty faces: they could be glamorous and also give soul to each and every of her characters. I miss them so much!! I have tried to watch that. 4 hours, at least. I just finished all of Hollywood Wives tonight. I really enjoyed it, it was so '80s and soapy. It was fun to spot a few Nolan Miller frocks in the background of the party scenes. I'm almost certain that I saw this one on an extra. And then I also saw this one that was worn by Krystle, and Caress and Frankie on DYNASTY and The Colbys. Loved seeing all the Nolan Miller outfits. The ending was a bit of a rush job but I did enjoy the whole thing. I'm going to buy the DVD as I'd like to rewatch it on a big screen in good quality. I think I will watch Deceptions tonight. It's very good though. The '80s one with Jeremy Irons, I loved it. Oh in my mind he very much is. I haven't seen it. I want to read the novel before. Thanks for the heads-up, I hadn't heard of this adaption before. One of my Most Disliked Actors. Ohhhh..... Well then you'd probably best avoid it. He's gorgeous in it though.... And that voice!